Do you know what the high temperature was in Ann Arbor, Mich. On March 1 last year? 29 degrees. Want to guess what it was in Las Vegas on the same day? 79 degrees. And sunny. See where we’re going here? 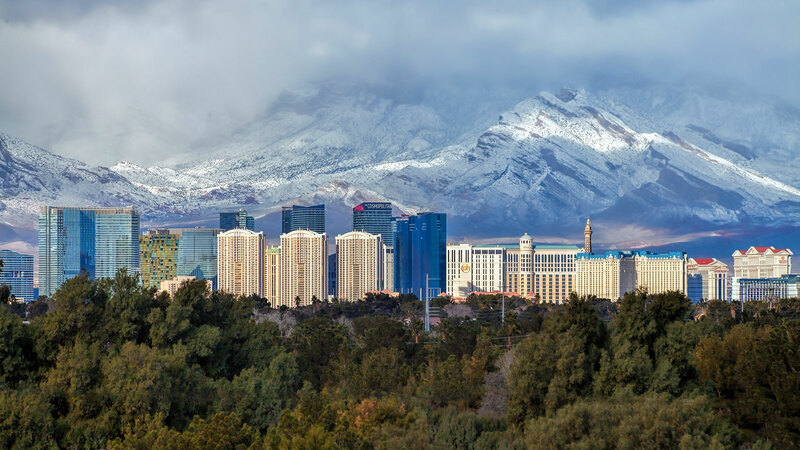 While most everywhere else in the country is still suffering through below-freezing temperatures and de-icing their car windshields, Southern Nevada basks in unexpected spring- and summer-like conditions that are ideal for anyone planning to visit Las Vegas. One person’s “off” season is another’s “heck yeah” season. If you visit Las Vegas in the sweet spot between New Year’s and Memorial Day, you can take advantage of overall lower room rates, which might net you a princely suite on The Strip for pauper prices. Less crowds also means less time spent in line for the club, show or buffet, and more time spent at the spa, pool or dialing up room service from your comfy bed. You can hit the slopes even when it’s 60 degrees and sunny. Located just about an hour north of The Strip, the Lee Canyon Recreation Area is home to a full-service ski and snowboard resort, snowshoe trails, tubing hills, snowplay areas, plus anything else your icy heart desires. And when you’re done playing in the white stuff, you can be back on the Strip in time for dinner reservations at Blue Ribbon. We love the summer, too, but let’s face it: Even with misters running overhead, most restaurant patios in Las Vegas are a bit—how should we put this—melty when the thermometer cracks 115 degrees. So of course “winter” is the best time to take advantage of the numerous outdoor dining options all around the Vegas Valley, whether it’s a hidden garden oasis like the courtyard at Park on Fremont or a view of one of the most exciting intersections on the Las Vegas Strip from Estiatorio Milos’ corner terrace at The Cosmopolitan. OK, to be fair, there’s always a lot happening in Las Vegas any time of year. But if you’re going to take advantage of the other benefits mentioned above, you may as well make the most of your trip. Catch a Vegas Golden Knights home game at T-Mobile Arena. Enjoy the mild weather from the stands at Las Vegas Motor Speedway during a NASCAR race. Take in a Broadway show at The Smith Center. Explore downtown Las Vegas’ Arts District. Or check out a concert at The Chelsea inside The Cosmopolitan. Get the latest stories about travel, concerts, dining, culture and much more sent directly to your inbox. Getting to know District: Donuts. Sliders. Brew.